"Everyone is beautiful when they dance,” oozes the ballroom MC in the midst of a competition that reveals just how un-beautiful terpsichorean people can be when seriously challenged by other dancers, or by anyone radical enough to try to dance to a different tune. 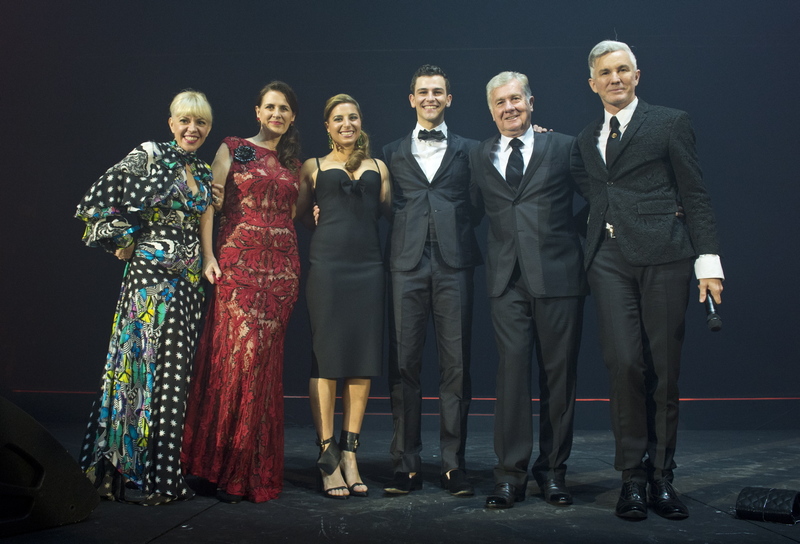 Yes, Strictly Ballroom the 1992 film has become Strictly Ballroom the Musical – premiered in Sydney last weekend with Kylie Minogue in attendance – as it was always destined to be. It is less well known that the work actually began as a 20-minute student exercise at Australian's National Institute of Dramatic Art (NIDA) way back in 1985, group-devised by the irrepressible Baz Luhrmann (most recently director of The Great Gatsby) and seven other students on a budget of $50. “The wave of positive feeling from that student audience was like nothing I've ever felt since,” admitted Luhrmann recently, “unforgettable”. Which perhaps explains why he's has stuck with his creation over almost 30 years. So far, so professional. But the personal also comes into play. 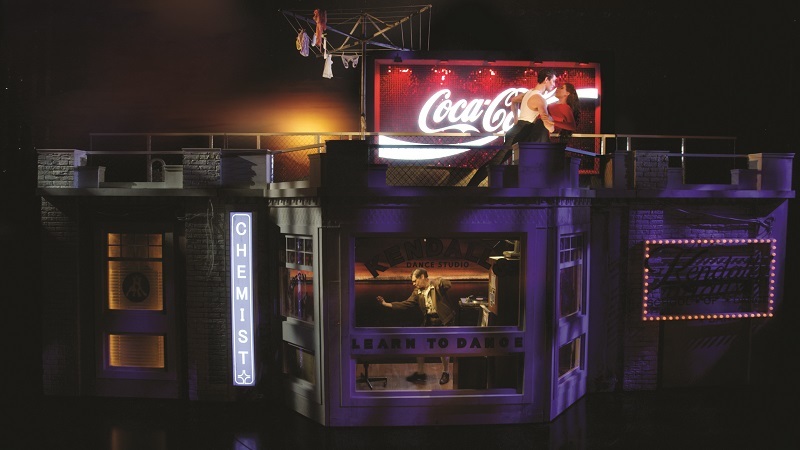 For country boy Luhrmann was brought up far enough from the city lights not to know that ballroom dancing was “the epitome of uncool” in the 1970s – and through regular community dances he got his first introduction to the theatre. Coincidentally, a man from an earlier generation of rural Aussies, Keith Bain, was Head of Movement at NIDA when Luhrmann's company needed guidance. And in many ways his stories to the kids revealed their story to them; for he'd actually been "The Man Who Was Strictly Ballroom", taking on the all-powerful Australian Dance Federation for freedom from its rigid rules, especially in Latin American dancing. As Bain once told me (and, no doubt the students), “My father was an uneducated barber. But to see him walk bandy-legged across to Mum and then take the dance stance – everything altered. There was a transformation into something richer than the ordinary.” Everyone is beautiful when they dance! Not that it all comes together instantly for Scott Hastings, son of the ambitious Shirley, protégé of the camp Les, and an incipient challenge to Barry Fife, the all-powerful President of the Federation. Scott's first steps towards freedom are wild balletic leaps which may scatter rivals trying to box him in but aren't going to turn the samba into the sensual experience it was intended to be. And they're no threat either to the commercial nexus between the Federation's rigid rules and Barry Fife's market in rule books and instructional videos. No, it'll take a multicultural muse to lead Scott out of this wilderness. David (versus the Federation Goliath) needs a Spanish Ugly Duckling to turn myth into reality – and to reflect Australia's own escape from Anglo-Saxon hegemony through migration. And there, lurking behind glasses (of course) and dancing only with fellow female novices, is Fran. Surely Luhrmann could find something innovative to replace glasses as the cliché for ducklingdom? But, of course, it gets the audience cheering when they're removed – and that “all-singing, all-dancing 2,000”, as Luhrmann calls us, the audience, is as essential to the musical as the crowd was in the film. Our clapping has to drown out President Fife's attempts to disqualify Scott and Fran for the authentic motivation and moves that Fran's flamenco/macho father has instilled – and there's little chance that we'll fail him. For there's plenty of skilfully warmed-up "audience participation" which comes from the expertise of co-producers Global Creatures, the Aussie team that grew from puppetry to animatronic arena spectaculars such as Walking with Dinosaurs, How to Train Your Dragon and the forthcoming musical, King Kong. At the opening in Sydney, familiarity with the Strictly Ballroom film allows us (and Luhrmann) to take short-cuts with the musical. That's both good and bad. We know the characters already – and make excuses for a Scott (Thomas Lacey) who's a bit lame as the dynamic rebel, and a Fran (Phoebe Panaretos) who's too pretty when she's still wearing her glasses. But where's the iconic Barry Otto from the film as the enigmatic father, Doug, who emerges as the final nail in President Fife's coffin? 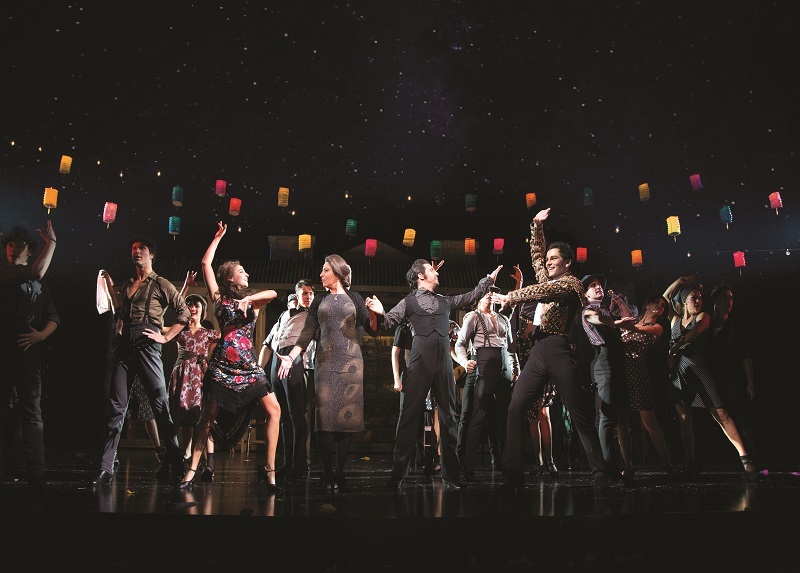 And Catherine Martin's costumes are the set – as they were in the film – from the stunning moment when the red curtains open on their still, statuesque silhouettes, only they're now augmented to the outrageous, almost filling the stage so that only one dance pair at a time can have their moment in the sun. Can the producers rely on the rest of the world – and Strictly Ballroom the Musical will surely go there – having that same familiarity? Of course, there's musical augmentation as well – a rousing duet for the lovers, a hysterical Federation goose-step, and more than a hint of Les Mis as the dance rebels mount the Federation barricades wielding feather dusters. But the essence of the film remains the show's core, so that John Paul Young's "Love Is in the Air" is still the theme song we all go out singing. That makes this show significantly better off than Priscilla, Queen of the Desert, which had to make its transformation to the stage denied the ABBA music that had been so right for the film, but had then been repossessed by Mamma Mia! 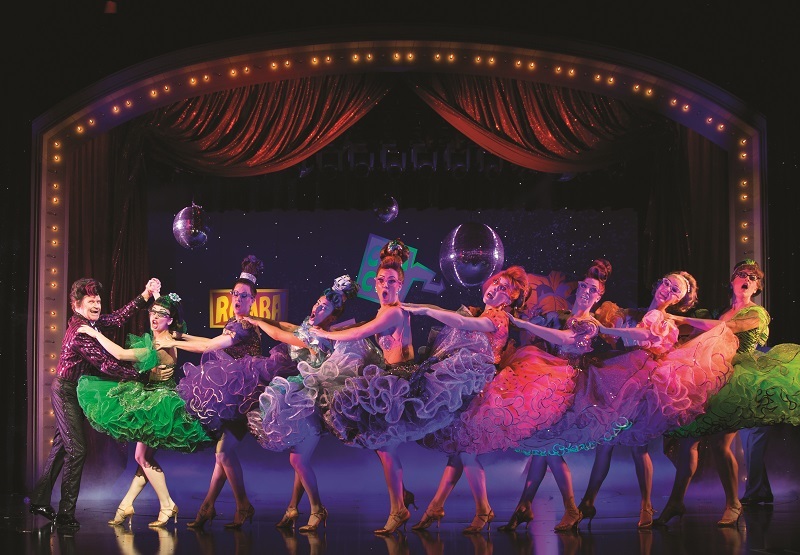 Can the producers rely on the rest of the world – and Strictly Ballroom the Musical will surely go there – having that same familiarity?